Here are some thoughts I’ve been wanting to scratch ever since AMD released their Raven Ridge APUs. It's also something many of you have been asking me to grill AMD over for a few months now, but I’m going to go a different way with it. A little back story first... AMD released Ryzen on the new AM4 platform back in March 2017 and over the course of the year released over a dozen new CPUs using the AM4 socket. For this first generation Ryzen CPUs we got the A320, B350 and X370 chipsets. In that same year, Intel released two new mainstream desktop processor series: first the 7th generation Core series codenamed 'Kaby Lake' and with it fifteen desktop parts prices ranged from $40 to $340. Then less than nine months later, Intel released their 8th generation Core series codenamed 'Coffee Lake' and we now have fourteen new standard power desktop parts, priced between $40 and $360. Why do I bring this up? Well because these newer CPUs despite using the exact same LGA 1151 socket are not in any way compatible. Although Intel could open up compatibility, they’ve deliberately blocked it and this means those wanting to move from say the Core i5-7600K to the Core i7-8700K will have to dump their motherboard in favor of a newer 300-series board. Intel's historical standard dictates to continue compatibility for two generations and two generations only. For example, Sandy Bridge and Ivy Bridge, the 2nd and 3rd generation Core series, are compatible. Then the 4th and 5th generations codenamed Haswell and Broadwell are compatible, and the 6th and 7th generations codenamed Skylake and Kaby Lake are compatible. Intel's historical standard dictates to continue compatibility for two generations and two generations only. This issue has been somewhat lessened by the fact that Intel’s offered small incremental improvements from one generation to the next. So it wasn’t until the 6th and 7th generations came along that those with 2nd and 3rd gen parts, started to feel the need to upgrade. 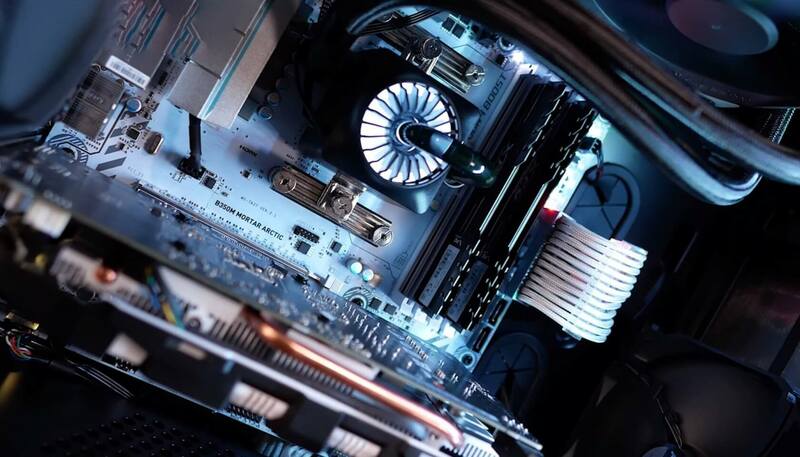 An issue faced when continuing support by carrying over compatibility to a new generation is supporting those new CPUs on previous generation motherboards. For example, if you purchased a 6th generation Core i3-6100 in late 2015, but in early 2017 decided that you wanted to upgrade to a 7th gen Core i5-7600K, you’d first need to ensure that your motherboard was up to date before installing the new CPU. Installing the new CPU without the required BIOS would see the system fail to POST, otherwise known as power-on self-test. This is because the motherboard doesn’t recognize the (newer) installed CPU. Motherboard makers are generally fast to add support and often the required BIOS is available for download ahead of the actual CPU release, so it’s not a big deal. However if you bought a Z170 motherboard, which was designed for the 6th gen Core series, but if you bought that board with a 7th gen processor it might not work out of the box and that leaves the consumer in a bit of a pickle. Helping to avoid this scenario Intel always releases a slew of new chipsets, so it’s unlikely anyone would purchase a previous generation motherboard with a new CPU, but it does still happen from time to time. People who run into this issue will need to take their new hardware to a local PC store and hopefully they can update the board, otherwise it would need to be sent back to the retailer and replaced. Intel does always goes one step further to minimize this issue by eliminating compatibility entirely and starting a fresh every second generation. This simplifies things for Intel, makes them considerably more money in chipset sales and can help avoid headaches for consumers. That said, the consumer is ultimately worse off with this approach, particularly enthusiasts who are on a budget. No doubt most of you would prefer to have the option to update your 100 or 200-series Intel motherboard to support a 'Coffee Lake' CPU, rather than having to get rid of it and be forced to spend $100+ on a new Z370 board. So, let's rewind to the start... AMD released Ryzen on the AM4 platform in 2017 and at the time announced that they plan to keep compatibility until at least 2020. That means multiple generations of processors will be supported on the same socket, not just the refreshes. This is a big deal and while we’ve now seen than the 2nd-gen Ryzen CPUs work perfectly fine on the A320, B350 and X370 motherboards, this should also be true for the Zen2 processors slated for release in 2019. Although AMD will continue to release new chipsets, they aren’t mandatory, and this means that B350 motherboard you bought last year for $70 will be sticking around for sometime to come. If you purchased the MSI B350 Mortar when it was first released, for example, it would have shipped with an early BIOS version, probably version 1.0 or 1.1. ...while we’ve now seen than the 2nd-gen Ryzen CPUs work perfectly fine on the A320, B350 and X370 motherboards, this should also be true for the Zen2 processors slated for release in 2019. But if you wanted to use the B350 Mortar with a Raven Ridge APU you’d need to make sure it was updated with BIOS version 7A37v1B which was released two weeks ahead of the APU launch. If you bought this motherboard featuring an earlier BIOS revision with a new APU, it wouldn’t have worked. Since AMD didn’t release a new chipset alongside the APUs and maintained support for existing 300-series chipsets, most purchased a B350 board and many of them were from older stock that shipped before the supporting BIOS update was developed. AMD copped a heap of flak over this, so much so that they had to invest time and money developing a program that would help customers update their motherboards by sending them a cheap AM4 CPU which could be used to boot up the system and update the BIOS. In hindsight, it would have been easier for them to do what they’d done previously with their APUs. That is, to segment product lines and offer their APUs on a different socket with different chipsets. That approach would have been less of a headache for AMD, but far less convenient for consumers and I for one am very thankful they didn’t take that approach. 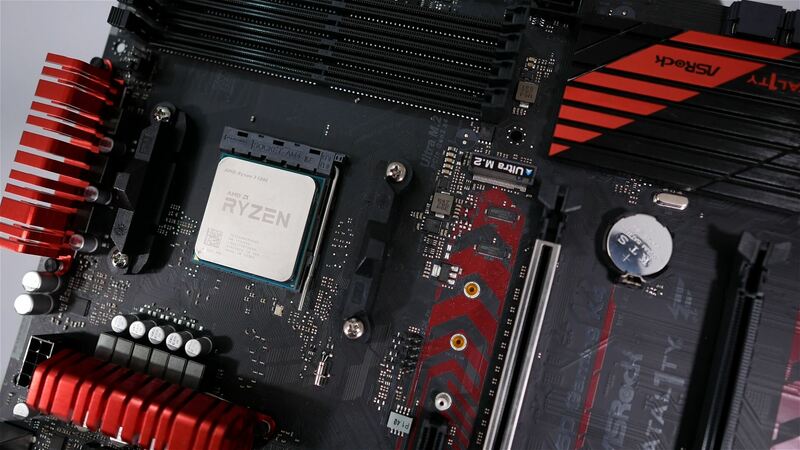 The issue resurfaced with the release of 2nd-gen Ryzen, as people started trying to pair them with B350 motherboards that hadn’t been updated, and once again AMD has taken flak for something they’re doing that really benefits consumers. It’s impossible for AMD to add support right now for CPUs they’re going to release in the future. Intel hasn’t developed a time machine to get around this issue either. It’s impossible for AMD to add support right now for CPUs they’re going to release in the future. Intel hasn’t developed a time machine to get around this issue either. The only solution is to axe support after a certain period of time and start a fresh and this is the approach Intel has gone with. We don’t want AMD to take this same approach though. There will be a point in time when upgrading will be necessary to support new features and memory technologies, but until that time comes, I’d rather not see compatibility removed just so these companies can juice more out of you. I bet there's plenty of H110, H170 and Z170 owners that would love to stick a 'Coffee Lake' CPU on their perfectly good motherboard. If AMD keeps receiving backlash for continuing support then I feel this is something they might abandon after 2020 and instead adopt a compatibility cycle similar to Intel's: hitting reset every couple of generations and forcing you to invest in a new platform that might not offer anything new beyond CPU support. As I’ve said, a lot of people have been attacking AMD over the BIOS update issue, but this isn’t a situation where AMD has handled things poorly, leading to problems. There is nothing AMD can do to prevent this. If we want to see compatibility remain, when new CPUs come out motherboards need to be updated to support them, this has always been the case for both AMD and Intel. AMD can keep offering boot kits, but there are other solutions, and they need to come from the motherboard makers. Asus has come up with one such solution called “USB BIOS Flashback”. For this method, all you need is the 24-pin power cable connected to the motherboard and a USB stick with the required BIOS. Simply plug the USB storage device into the motherboard’s USB BIOS Flashback port, then press and hold the USB BIOS Flashback or ROG Connect button for three seconds. At this point an LED begins to blink, you just need to sit back and wait till the LED stops blinking and that indicates that the BIOS has been updated and you’re good to go. Unfortunately Asus only offers this feature on their most premium boards and none of their B350 models support it. Perhaps this is something AMD could work on with their board partners to make a standard Ryzen feature. I understand this is a frustrating issue. Those of us who build their own PCs choose to take on the role of the technician and updating BIOS is all part of the job. If you don’t want to deal with this sort of stuff, buy custom built systems from your local PC store, you’ll pay more but at least support will be part of the equation. That’s going to do it for this one. The issue has been annoying me because while I get the frustration, the alternative is far worse. So I'd much rather have the inconvenience than having to buy a brand new motherboard when it's not really necessary. As always we’d love to hear your thoughts in the comments section below. Good article never really thought about it like that. wildrage, Charles Olson, Kotters and 4 others like this. I am curious why there is no "fallback code" for CPU firmware. Like, if the bios cant determine your CPU because you need a firmware update, it could run in a fallback mode that all CPUs for the socket would support that would allow you to boot into the BIOS to do an update. Seems it would make this a lot easier to fix. GCosta, wildrage, failquail and 5 others like this. Because it is the other way around. CPUs execute code, they don't store it. Now, in theory, if you designed the architecture of the CPU to support a 'standard' code that allowed them to run just enough to update the motherboard to the 'full' code, that might work - but you would essentially need to dedicate die real estate to having a 'mini-CPU' inside of the actual CPU, that only a fraction of user would ever utilize - and then only for a few minutes. ASUS' Flashback is a much better and more workable option. wildrage, Ryrynz, Reehahs and 4 others like this. Best article Steve has ever done. Charles Olson, Kotters and Steve like this. There is already a mini CPU inside every CPU/APU AMD has sold in the last 5 years or so. It's an ARM Cortex A5 used for PSP, the equivalent of Intel's ME. plonk420 and Charles Olson like this. I see it the other way around. I think that AMD wanted to keep the pricing so low that they decided to keep the socket for 4 years without caring about customers upgrading their cpus for new ones. How many people upgrade the cpu without a mobo anyway? "....particularly enthusiasts who are on a budget." The nature of enthusiasts means they do NOT have a budget. helpful55 and ForgottenLegion like this. How many people upgrade the cpu without a mobo anyway? I would say probably a meaningful chunk of AMD customers over the last 10+ years. I know I did with a couple of AM3 and AM3+ boxes I built over the years. Charles Olson, SirChocula, helpful55 and 4 others like this. I'm an enthusiast and I try to keep my spending at a reasonable amount. While I enjoy building computers, whether for gaming or storage servers, I have other bills to pay. I'm currently working on upgrading one of my older FreeNAS servers built with a Supermicro mobo and Opteron CPU. Parts were originally new (in hindsight I should have bought used) but upgrading with parts bought on eBay. My unRAID server is almost completely from eBay (Dell T7500 and some HGST 6TB He drives). Charles Olson, TempleOrion and Reehahs like this. Switched from Intel to Ryzen recently, and experienced this headache - bought a B350 that I would reckon would work as it had a bios update a little while back that would support this CPU. Alas, the one I got had an older version of the bios. Great idea to keep the same socket, but I’ll see it as a nice feature for any future upgrades for myself. Mandatory USB update possibility sounds like a plan. Charles Olson and Reehahs like this. "I bet there's plenty of H110, H170 and Z170 owners that would love to stick a 'Coffee Lake' CPU on their perfectly good motherboard"
To be honest I find the "importance" of 'keep the same motherboard for 5 years' hugely overblown given many B350 mid-range motherboards are typically the cheapest component out of CPU, dGPU, RAM, SSD and monitor. Hell you can throw in some premium bling-loaded tempered glass cases, Platinum PSU's, even "ultra gamer" mice & chairs as costing more than half the cheapest B350 boards. All those nights spent benchmarking… FOR NOTHING! Charles Olson, TempleOrion, OcelotRex and 3 others like this. - Steve said. "....particularly enthusiasts who are on a budget." Perhaps not, but they do complain incessantly about the prices of GPUs and memory. Maybe they do have budgets, but won't admit to it. Seraphim401, TempleOrion, Reehahs and 3 others like this. LMAO. Well... I wasn't trying to undermine your hard work. The thing is, benchmarking is tedious and boring, and ultimately, even though the results can be interesting, it's generally more of the same. Not that it's not appreciated, but there are other things that are important too. Just wanted you to know that it is much appreciated that you take a certain stance on these things. Because we as consumers often love to complain and forget what impact complaining actually can have. We have more influence than we think, and, the more conscious and intentional we are as consumers, the more both we and the industry benefit in the end. So please do share these pieces more often. Charles Olson, Satish Mallya and Steve like this. Not sure I buy all the angles in this article. Intel already offers CPUs at many different price points, because they know that most buyers consider price. The consumer budget that is being diverted to the motherboard manufacturer, which is usually not Intel, could have been more money going to Intel for the CPU. I would be interested to know the precise reasons for their decisions, but my guess is they are more complicated and less conspiracy oriented than "we think we can get a few more bucks out of the chipset we sell via the mobo mfr." They may also be driven by factors linked more to the total market for consumer sales (which is vastly non-enthusiast and where CPUs are sold as parts of finished systems) than enthusiast-specific. Intel already offers CPUs at many different price points, because they know that most buyers consider price. Maybe so but not the point of the article at all. The consumer budget that is being diverted to the motherboard manufacturer, which is usually not Intel, could have been more money going to Intel for the CPU. Don't forget about the Intel chipsets on those motherboards. Charles Olson and TempleOrion like this. Nope you're wrong, the reason they do it is to make more money. Plain and simple. It's just a bonus that it also makes life easier for them as well. Charles Olson, TempleOrion and Kotters like this. Unless you can demonstrate that the cost of the mobo in no way reduces the spend on the CPU, your math is missing some important interactions. Intel's revenue and profit of a higher price CPU sale is going to be a significantly higher percentage than their portion of the motherboard sale (the chipset.) Every time a consumer ends up with a lower priced CPU because they needed a new motherboard, or much worse yet didn't upgrade at all because of the extra barrier to the sale in not just money but convenience and accessibility, is money left on the table for Intel. This might be all be moot if the data showed that virtually all CPU sales were of the highest price model, which of course is not true, and if it was, they wouldn't bother making the others. Really good article and not sure how you stop it from happening as the user is going to blame everyone else they can before themselves. I think you are right Steve in saying that it is all part of building your own PCs, you need to do your research. I applaud amd support for future CPU on same board !! “USB BIOS Flashback” should be included on all motherboards and it would eliminate all the headaches, unfortunately that would take away from the "ultra premium elite" motherboards that cost as much as the CPU you're sticking in them. But one day it might become standard kit, after all, motherboards have come an incredibly long way and offer some pretty good features even in the lower end segment. A feature that is essentially just some code that has already been developed can very easily be implemented across a broad range of motherboards with... a BIOS update. The other very simple option is have a way for consumers to buy replacement BIOS chips that have the latest version on them that just need to be inserted in the board (or supply the distributors with them so they can swap them/include them with the purchase of these "out of sate" motherboards. I personally would love a USB adapter that you stick that same BIOS chip in and can update it via a separate computer, but that'll never happen in my lifetime I'm afraid. Never been a problem for me. I usually start with a premium motherboard and an entry level cpu. Update the BIOS and then max it out after a new platform is introduced. I generally skip 1 to 2 generation platforms. My last high performance system was an AMD Phenom x4 II 940 3.0 Ghz. Spent 7 years on it. Still good for somebody. 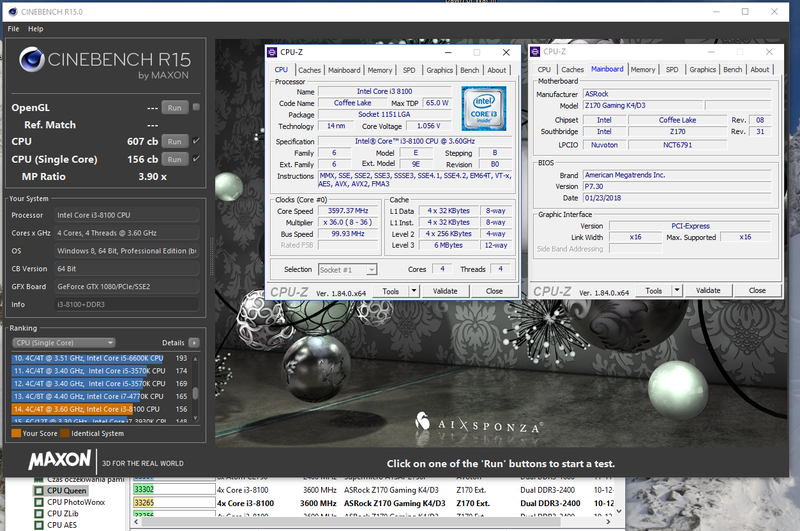 I entry that one with Athlon X2 2.6 Ghz. The entry cpu usually handles previous generation software except that I may have shot too low this time with Ryzen 3 1200. I stick with ASUS for I like their support even though their boards can be buggy at times. I've built plenty of Intel servers in the past. If the bios didn't support the new cpu, it would tell you so on the post screen but still let you continue on to update the bios. Surely AMD could come up with some type of similar solution to update their Agesa code. SirChocula, failquail and Jimster480 like this. Are you suggesting that someone who wants to buy a Core i5 will settle for a Core i3 because they also need a new motherboard? So being upsold isn't a thing? Intel only needs to make a single chipset, why do they make multiple chipsets? Why do they double dip when it comes to overclocking? Server boards are worlds more expensive, most include their own management. Intel desktop motherboards don't have this. Charles Olson, Dimitrios and TempleOrion like this. Demand for AMD's higher-end Radeon R9 cards has caused prices to skyrocket, but why? Could this be our first look at Intel and AMD's new chip? Just so you know... It's not your fault!